Inspired by the emerald vegetation and sprawling castles of its namesake, Isola translates the best of tropical serenity to home decor. Lush palm leaves layer a rattan border to create a casual, elegant look with distinctive dimensional appeal. 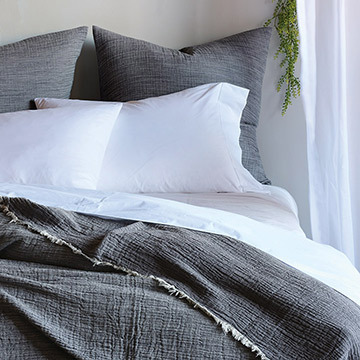 Isola's signature color, yarn-dyed Aloe, fosters a tranquility that enhances this collection's idyllic undertones. 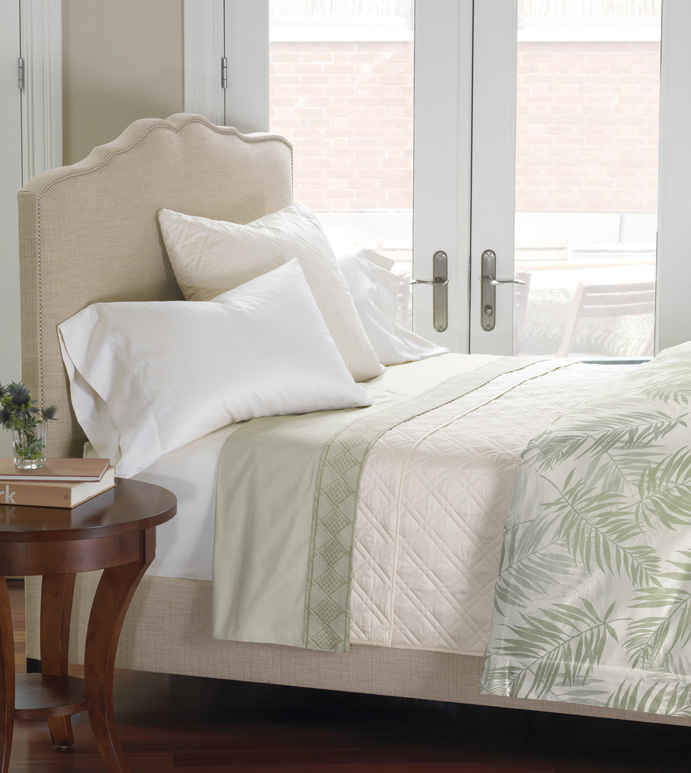 Complete the look with the Arles bed upholstered with Gilmer Brulee fabric and finished with Brushed Nickel nailheads.